Here is the ugly truth about credit cards --- it’s not your actual buying power. It’s simple isn’t it? Just one swipe and everything that you wanted that you cannot afford now, can be yours! Then the bill comes and we are shocked as how big we owe to the credit card companies. We would feel bad about ourselves and pay. But then again, we sometimes go back to that cycle. So why do we fall into that trap over and over? I think we have really misunderstood the meaning of what a credit card is. At that point, to us, that card is our way to get what we want now with the money that we will have later. But that is the point. Will you have money for it later? If you are good with your finances and really keep track of the things that you spend on your card and the things that you will really have to pay with cash for every month --- food, rent, gas etc. Then this may not be a problem but for those who do fall into the trap of overspending with their credit cards, ending up with no liquefied cash for other transactions in their lives, this can result to a problem. 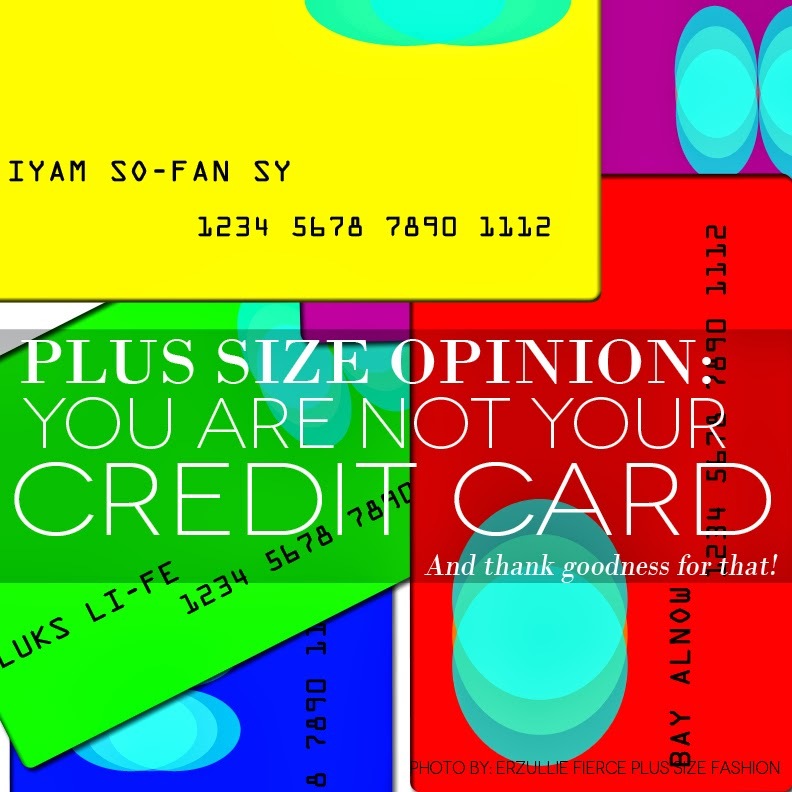 So here is the big truth that all of us should remember, and this one is from an Erzulliesta’s experience: “your credit card is not your actual buying power but your capacity to be in that much debt according to the bank.” Now ask yourself every time you are about to swipe it --- can you really be in that much debt and do you really have that money later? 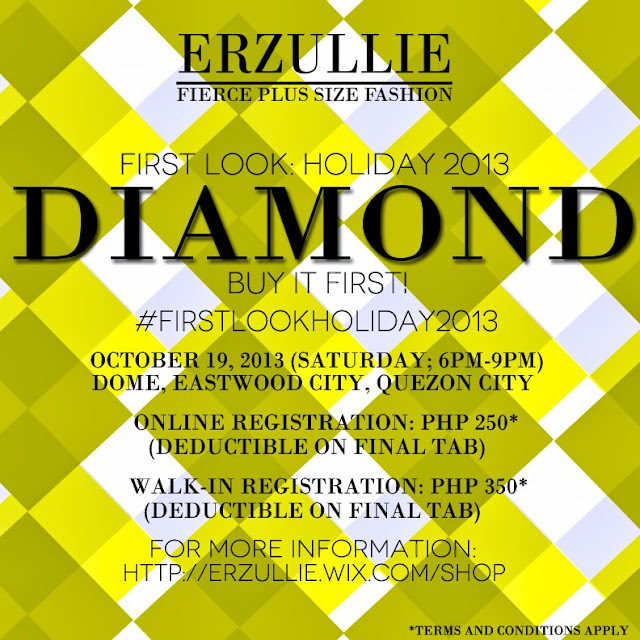 Register for Erzullie’s First Look: Holiday 2013 and buy the latest collection before its release to the public! The event will happen on October 19, 2013, (Saturday; 6pm-9pm) at DOME, Eastwood City, Quezon City. Online registration is Php 250 while walk-in registration is Php 350*. Both registration fees will give you access to the Holiday 2013 collection before its’ public November release, 50% off on some past collections, free personal shopper service and of course a fierce shopping social with your fellow Erzulliestas! Deadline of online registration is on: October 16, 2013, Wednesday. 2. Wait for our verification email and instructions for payment. 3. Pay on or before the designated deadline, wait for the final invite and attend! 1. All registration fees are non-refundable but deductible on your final tab. Only registration with fully submitted requirements will be accepted. Any late, incorrect or unwarranted deposits are non-refundable and will not be honored. All payments are via BDO bank deposits only. 2. Walk-in registration is from 7pm-8pm only. 3. Styles and Sizes available during the event will vary and until supplies last. Erzullie is not responsible for what happens to the customer before, during and after the event.